There has been a big debate over the last few years over whether the Series A crunch is real or not. What everyone can agree on, however, is that there are definitely more seed and early-stage funds now than ever before, and more people willing to give money to young companies looking to make it big. In this edition of "Meet the VC," we interview Rich Levandov, a partner at early-stage firm Avalon Ventures. Rich has over 25 years of experience as an entrepreneur, operator, angel investor and venture capitalist involving a variety of cutting-edge, high growth, early-stage technology companies. 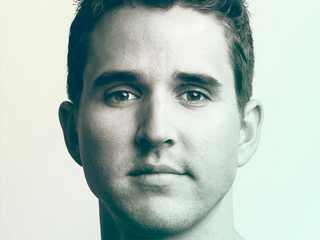 It was after he co-founded Phoenix Technologies (PTEC), a company that helped launch the PC revolution, and served as an early Vice President at America Online, Inc. that he started his venture capital career. Rich Levandov: My background is somewhat typical: I started out as entrepreneur before getting into venture capital. I went to a school called University of Binghamton in upstate New York and was a Major in Mathematics and Programming, which was very different in that era. From there, I wound up teaching some coursework over at MIT in Cambridge. In that era, around 1977-1979, there was a lot of excitement about the microprocessor revolution as the cost of compute power was dramatically dropping from the established status quo. The thing that got me to move into the entrepreneurial world was the fact that you could build a very powerful computer in the late 70s for $1,000-$2,000—not $50,000 or $100,000. With that, I got involved in a startup called CSSN, where we actually built our own microcomputers. That company went bankrupt when our venture capital backers decided to pull out of their commitment to us after IBM announced the IBM PC in ‘81. Their theory was that it would be hard for a small company to compete. I then started a company called Phoenix, rising from the ashes of that experience. And that company was mostly a software tools company, selling into the burgeoning market of third-party app developers for personal computers. Along the way, we saw the opportunity to create a piece of software called a “compatible BIOS” to allow manufacturers who wanted to be compatible with the IBM PC to accomplish that legally. From there, I experienced taking an idea, raising capital, building the company, going public, and that’s when I got pretty interested in the venture model. 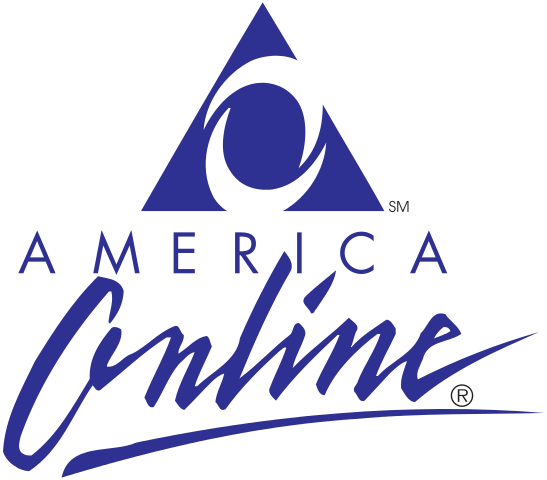 Before I jumped over to being a full-time venture capitalist I did a stint at AOL as a VP there in the corporate development staff, and that was in ‘93. That was a time when consumer online services were taking off—before the existence of the consumer internet. When the consumer internet broke on the scene in ‘94, thanks to the browser being available and ISPs offering access, that’s when I had the opportunity to go in the venture capital business, which I started in 1996. VN: What is your investment philosophy? RL: In 1996, I was one of the earliest partners with SoftBank’s first venture capital fund. Leading into that, I had been angel investing and I had been very interested in early-stage entrepreneurial company formation. So my entire venture career has been dedicated to first round financing—pretty much in the software space, mostly in the technology-enabled services space. Having invested through ‘96 to 2000, which was an explosion of entrepreneurial activity, I became enamored with the early-stage dynamics of building businesses. Now, 20 years later, I’m still feeling the exact same way. Avalon, where I’m currently at, has been investing in early stage since the early 80s, and we’re now on our 11th fund with close to $1 billion under management almost exclusively in early stage. I still believe that’s the best place for value creation, the best place for returns, and the best place to work hard and help entrepreneurs build businesses over time. So that’s been consistent for me for 20 years. And if I do this for another 10 or 15 years, which I hope to be doing, I'll stay true to the same thing. A lot has changed. In the early ‘80s, there were not that many sources of venture capital around. There wasn’t nearly the pre-Cambrian explosion of venture capital that you have now. But now I think it’s interesting because there’s 10X the amount of money in the system and probably 100X the amount of entrepreneurs who would like to start businesses. Part of that is because the cost of starting a business has dramatically gone down. That's all pretty exciting but the problem is, within my small world of software, services, and technology-enabled services, some companies really are features of products. Some companies are just products. Some are small business. And some are transforming an entire industry. And that’s what gets me excited: when you can open a new industry play or transformation of industry, and that’s where you get $1 billion returns and valuations. RL: I’ve had some great experiences in consumer services, being the first investor in Zynga, which was building a social games company on a platform called Facebook, as that was emerging. I continue to enjoy consumer opportunities now that there’s two billion going on four billion smartphones in the world, as they replace computers as preferred devices for computing—so that's a whole category there. Also, infrastructure is interesting. There’s a couple trillion dollar jump balls up for grabs in the enterprise IT market on the worldwide basis. Everything is transforming to more cost-efficient, productive compute platforms away from on-premise, behind the firewall servers. The first 10 years was met with early adopters jumping on, a lot of people resisting doing cloud computing for serious work because concerns about security, control, and scalability, but now those concerns have been put to rest. We’re seeing massive movement on the part of enterprises, so that’s bringing up all sorts of infrastructure possibilities. VN: What do you look for in companies that you put money in? What are the most important qualities? And what kind of traction do you look for? RL: We typically raise a $150-200 million fund, so relative to angel and seed investing we have a lot of capital to deploy. So we're sorta stage agnostic. What I look for in the early ones is the team: I’ll put almost 25% of my valuation criteria on the CEO and 50% of the team. Assessing whether these folks have deep domain expertise, the level of passion, knowledge, scrappiness, gravitas, charisma. To start a company and run it to success, it’s a rare set of skills you either learn as you go along or master. So I’m okay with first-time teams as long as they exhibit those tendencies I've seen over and over and over again. Traction is great. Now it’s so inexpensive to build, launch, and get some early customers, it’s great to see a product already existing in the marketplace with customers and traction. But on the same token, some of the greatest ideas I’ve funded in the past have just been ideas conjured up by a bunch of guys talking about “wouldn’t it be great to start company to do X?” Those can work out as well. For me, it’s a combination of the team and the idea. As we go thru the process—which can be as quick as on hour or long as a month—we’re real-time assessing all the risks involved: people risk, product risk, market risk, technology risk, syndication risk, intellectual property risk. You have to do quick pass through all those issues to make sure there are no hidden land mines in what you’re about to commit to. When you’ve done this for years and years and years, patterns usually emerge within an hour or two of conversation. 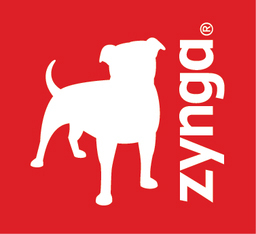 RL: With Zynga, the concept was “gee, Facebook is an emerging platform.” When I went to Facebook in 2007 it was an interesting photo chat service, and that was about it. So we thought with Zynga—Mark Pincus had a lot to do with this thinking—wouldn’t it be great to build the entertainment factor on this platform. I called it the bars and restaurants, which we translated into games so you had something to do with your friends on Facebook. So that was a great idea on a platform that was emerging. And for me the analogy was, back in ‘95-’96, the platform that was emerging was the “internet,” but the real jewels of the internet were not the platform itself but the applications on it: Amazon, eBay. So I thought one could build a business on the platform. That’s why Zynga made sense to me at the time. Another one I like to use as improbable was a company called Cloudant, which was founded by three guys getting their Ph.Ds in Physics at MIT. With six months to go to their doctorates, they decided instead of going into academia they wanted to start a software company—something they’d never done before. They wanted to start a database-as-a-service. So take on the audacious step of challenging the relational database market, doing a non-relational database, offering it up as a service in the cloud so all they applications being built as web apps could access their database for data management needs. So we bet on these guys, and that company ultimately grew to a couple million dollars in monthly recurring revenue and was acquired by IBM for north of $150 million in three years. That was a technology-enabled service on the platform called “cloud computing” that was in advance of where I thought the market was going. RL: I think they’re all the same thing. If you’re an entrepreneur, you want to get capital in and you want to move fast, keep building, keep hiring people, keep testing and iterating. Before the era of seed, I almost call it spore, which is like pre-seed. Whatever it takes to get money in and keep building is the smart thing to do. What we've seen in the last 10 years is that instead of the old way of raising a “Series A” round, which is sophisticated equity with 50 pages of legal documents, what if you could just raise a quarter million to two million quickly on a convertible note with a cap (or uncapped). That would be a faster way for entrepreneurs to get money for building. That’s changed a lot. People try to analyze what’s seed, what’s spore, what’s Series A, and to me it’s all the same thing: early funding of your business. We’re agnostic. We don’t really care if it’s spore, seed, or Series A as long as we like the team and what they’re doing. Analyzing seed versus Series A, it’s a question of speed and what’s available. Very often I’ll enter to a conversation about a seed round, and if I really like the company I’ll try to move the conversation to do a priced round and drive more capital. If that's not what the entrepreneur wants, then I’ll just invest in the seed round to stay close to the company and invest down the road. A lot of people try to put qualifications on what’s seed and what’s Series A, but to me they’re variations of the same thing. VN: In 2015, there was a lot more money going into late-stage deals than during the heyday back in 2000. So do you think we're in a bubble? And is it deflating now? RL: I wouldn’t call it a bubble. I would call it aggressive times. We’re living in this low interest rate environment right now. You’ve got $100 trillion in the worldwide capital markets looking for yield, so there really is no safe high yield. There’s a lot of money coming out of institutions looking for better opportunities, better asset classes. Venture capital as an asset is very well known as one of the riskiest asset classes but if you look at the historical numbers over 25-30 years it has much better returns than most other asset classes. The other issue you have is a lot of wealth is being created by entrepreneurs. Being a venture capitalist is the new rich man’s parlor game, so you’re getting more angels than ever and more seed funds than ever. A friend of mine said that in 2014 there were 200 new seed funds raised at $50 million per, so that’s like $2 billion of new money in the system. I think that it’s not quite a bubble, but it’s certainly easy money times. VN: How long is your due diligence period when choosing to invest in a startup, and how do you conduct your due diligence? RL: For me, it could be an hour or a month. I usually try to keep it to two weeks because we in the investment side tend to let the analysis go on too long where the entrepreneur would rather get a yes or no quickly. I have a sense of duty to the ecosystem. I like to share a quote: due diligence is what you studiously do when you want to talk yourself out of a deal and it‘s what you avoid doing to get a deal done. Go back to the metric of early stage. All this stuff is extremely risky: 70-80% of our investments just don’t work out. If you bat .300 in the venture business, it’s like baseball—you’re a rock star. Get above that to a .400 batting average, it’s amazingly lucrative. Therefore, if it doesn’t work out most of the time, why spend all this time with due diligence? You have to thin slice it and really understand the market, tech, competition, area, and that comes down to the VC having experience, mental positions about the market, knowledge, which builds up over time. Having said all that, what I tend to do is only spend time in the areas I know about so I know a hell of a lot before the entrepreneur walks in the door. That makes the whole process go a lot quicker. Mostly, I just spend a lot of time with the team, meaning a couple hours just thinking through the problem, getting a sense of how they think about it, how they view the competition, and how they’re strategizing for success. In a conversation like that you can tell a lot about the team, which is the most important thing. So that's the most important part of due diligence. RL: We are investing out of Avalon XI, which will probably be a $175-200 million fund. Avalon X was $200 million. Avalon IX was $200 million. We like fund sizes between $150-200 million. RL: Unlike angel and seed funds who will put in a little bit of money across a large amount of companies, we do much fewer companies and drive for a larger ownership percentage. That usually translates between $1-$10 million per company. A typical check is $1-5 million. A real sweet spot would be $2-3 million in the first institutional round. RL: We enjoy being the lead and solo investor. When you’re the only investor in a seed or A round, you’re putting more money in and getting more ownership. Again, I’m going to drop back and say we serve the CEO—whatever they want to do, it’s fine for us too. RL: We keep 50 percent of the fund for follow-on. Say a typical $200 million fund: after $100 million in checks are written, we’ll stop investments and raise another fund. RL: Early stage, from seed to Series A.
RL: A typical fund will be about 15-20 and the initial investment period is usually about 24-30 months, so in a typical year we’re doing about 8-10 investments. RL: It’s an alternative to getting a real job—that’s how I think about it. I’m an entrepreneur at heart. At 24, I started my first company. I love the fact that when you start your own company you’re involved in the most intellectual, creative activities on the planet. You’re thinking through issues, you’re trying to build value, you’re assembling a cast of characters to buy into the mission. What I like best about being a VC is that it’s a proxy for being an entrepreneur. The best VCs I’ve known and worked with are ex-entrepreneurs themselves. It’s only from being in the thick of building a company can you really understand what founders and teams are going through and help them navigate those. The best thing about being a VC is it’s like being an entrepreneur on steroids. 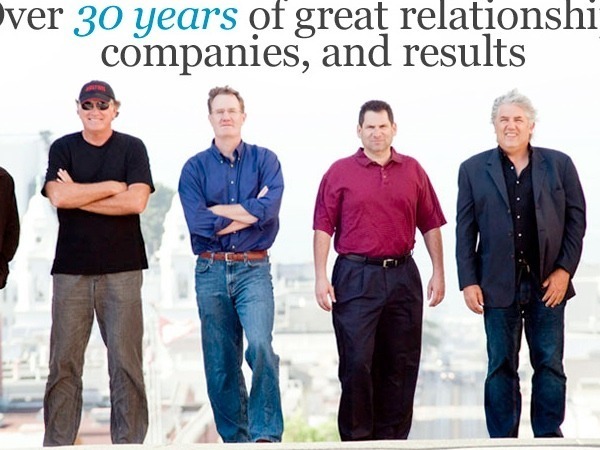 RL: One of the ways we’ve crafted our firm is we’ve stayed smaller. We’re a partner-only firm—no associates, no principals, no teams of people—so whenever we meet with entrepreneurs they’re alway meeting with partners from day one. We don’t subject our potential portfolio companies to months and months of associate, VP, and partner meetings. It’s a quick and painless process. And we’ve stayed true to that. It’s five or six guys that have built companies, that have tons of experience, that have handcrafted our firm to be a service firm to the entrepreneurs. Spore vs seed size image courtesy of The Adapa Project. Avalon’s long-standing and successful focus has been on seed and early stage companies, including many it formed in the life science and information technology sectors. We believe this is the most challenging and rewarding period of company creation – we are former entrepreneurs driven by passionate people pursuing disruptive ideas in ever changing market environments.